Times are hard on some people, while there are those who could not complain about their situation. There is, however, the fact that everyone can always use a little extra when it comes to their income. After all, there is always something new to buy, something to improve, and something new to experience. With all the technology that surrounds us, there ought to be something that can be done with it to assist in making some savings. 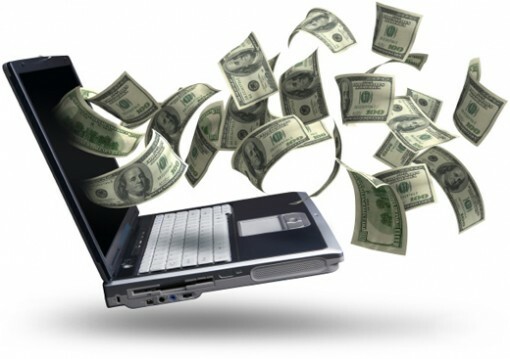 And true enough, there are many ways by which we can save money online. Take a look at this list and enjoy your way to stretching your income. Before you scoff and say something about my grandmother ((I am too thick-skinned to be insulted by such jokes, anyway, FYI. :;)), you ought to take a look at just how many people are into online coupons. There are so many sites where you can find coupons which will give you anywhere from 5% discount to free items. Depending on the site, you may have to print out coupons. There is also the option of simply using the coupon code to make online purchases. If you are new to this, or you’re looking for a coupon site that will satisfy your yearning to make savings, I suggest CheapSally.com. The name tells you everything you need to know! Groupon is probably the first name to come to mind, but there are a lot of other serious players in the game. I have had countless personal experiences in saving serious cash by purchasing deals. From beauty procedures to restaurants to all sorts of other products – name it, I’ve probably done it via daily deals sites. The only drawback I can see is that there is the tendency for you to purchase a deal just because it is great, even if you had no intention of spending money on that item/activity in the first place. The lesson here is that you really have to use these sites with the intention of making savings on things you would spend on even without the deal being in place. With so many consumers going online to find information and make purchases, brick and mortar businesses have made it a point to capitalize on the trend. It is thus no surprise to see hotels, airlines, and other businesses offering considerable discounts via online transactions. Not only does this make it more convenient for you, it also helps you save money online. Don’t just use the Internet for entertainment purpose. Take advantage of it and put your finances into a better shape!